Helen Bell, 1, is the third child and first girl of the family, so mom Jill went all out on pink for Mother’s Day Out school gear. Summer flew in a flash, and at the end of this month, kids head to school. For older kids, this season usually means buying flash cards, notebooks and tough backpacks to hold heavy books. 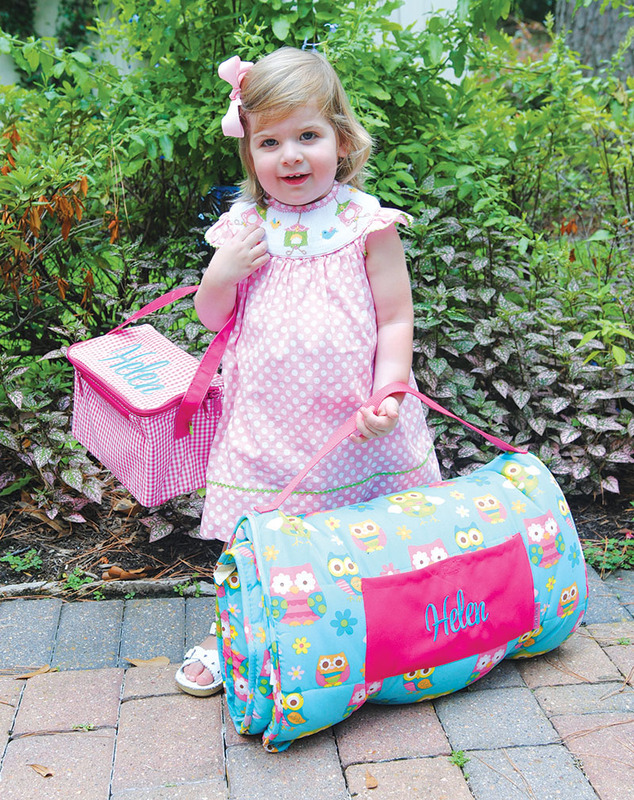 For little ones who attend a program like Mother’s Day Out or daycare, it means shopping for cute nap mats, adorable little backpacks and personalized name-label stickers for sippy cups. I heard from some Buzz parents over the summer about their favorite gear for their littlest students. Jill Bell, a mom of 3, said she is excited for her daughter and first girl Helen, now 1, to start school this year. She decided to go all-out with “girl colors” for her school bag and lunch box since her 6-year-old twin boys’ bags were all blue. Another important thing to remember when sending your little baby or tot off to school is to label everything. I learned the hard way that taking a Sharpie marker to a sippy cup is like using chalk on the sidewalk; it fades with one wash. Some parents, including Valerie Daugherty, turn to personalized label stickers. Valerie’s 6-year-old son Brock started school when he was a newborn. “We used NameBubbles labels,” said Valerie. NameBubbles can be personalized and are dishwasher safe (a lot better than my Sharpie idea). Valerie also found a lunchbox she loves at her local grocery store. “Skip Hop worked well for backpack and lunchbox, although my favorite lunchbox was one I picked up at HEB from [the brand] PackIt. It was a foldable lunch bag that you put in the freezer. No extra ice packs needed once the bag is frozen. 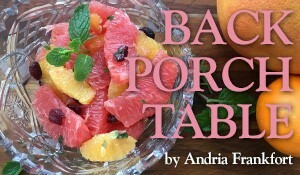 They aren’t cute, but nice since you don’t need extra packs,” said Valerie. Myra described it as compact, lightweight and leak-proof. “My 2 year old can carry his without issues,” said Myra. “My favorite thing about it is I can pack it, close it, shake it like a crazy person, and everything stays put.” They come with four or six compartments and in various colors. 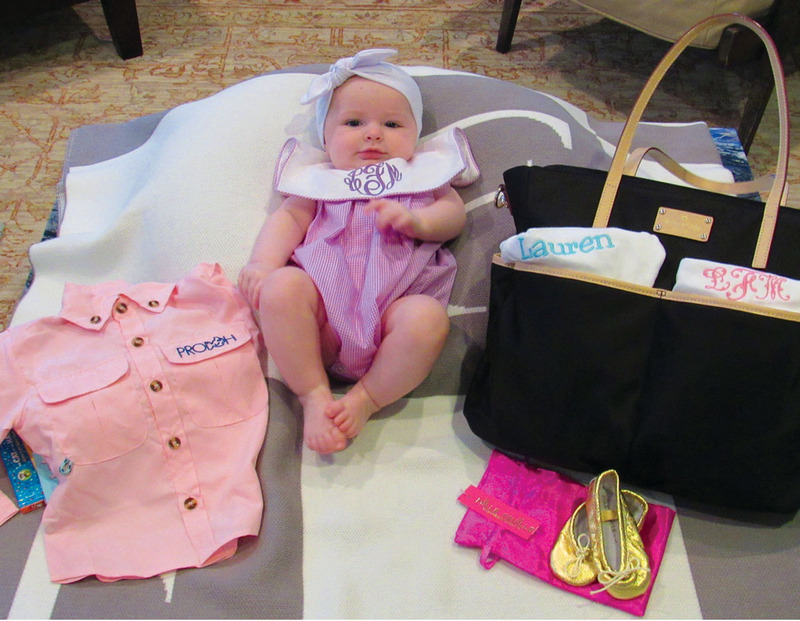 Kristi and Jimmy Foley’s daughter Lauren, 6 months, has a wardrobe of monogrammed and smocked outfits for Mother’s Day Out. No matter what type of gear you decide to get your littlest student this month, just enjoy picking it all out. Before too long, you’ll be loading up on “real” school supplies like pencils and calculators. That doesn’t sound like nearly as much fun. 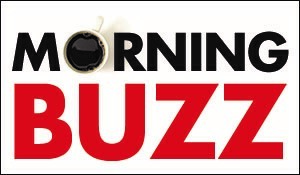 For more baby stories, see Annie Blaylock McQueen’s column, “Mommy Moments.” If you have stories to share, leave a comment below or email info@thebuzzmagazines.com.